Proactiv Advanced Blemish Treatment - Dr. Kathy Fields and Dr. Katie Rodan developed the Proactiv 3-step Acne treatment system in 1995. They formulized this treatment for acne for those who were not covered by insurance and therefore may not have had access to a dermatologist for the treatment of acne. This system was made up of the Renewing Cleanser, a Revitalizer Toner, and a Repairing Treatment lotion. Later they also added the Advanced Blemish Treatment for those emergency breakouts that sometimes occur. 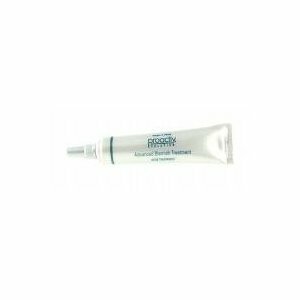 The Proactiv Advanced Blemish Treatment is only available to those who are already ActivMembers, and it comes in the form of three small tubes with a high concentration of the active ingredient of the Proactiv products, benzoyl peroxide and heals pimples fast. Once applied it is invisible and soothing to the skin. For those with acne prone skin. After cleansing and toning the skin with the other Proactiv products, apply a thin layer right on the problem spot where acne has appeared and in fact right on the pimple. Repeat the application as many as three times a day, but this should be limited if drying or pealing of the skin occurs. You should also apply a sunscreen after the application if you are going to be spending time outdoors. The primary active ingredient in Proactiv's Advanced Blemish Treatment is benzoyl peroxide at a 6 percent concentration. The National Institute for Health states that benzoyl peroxide is available in a liquid, lotion, cream, or gel and is used as a mild to moderate treatment for acne. It also states that it could take as much as six weeks to see a noticeable difference after beginning to use benzoyl peroxide. Along with the benzoyl peroxide, other ingredients are present in Advanced Blemish Treatment that also provides benefits for clearing acne. Those ingredients include: cyclopentasiloxane, ethoxydigycol, steareth-2, methylpropenediol, steareth-21, cyclohexasiloxane, propylene glycol, polyquaternium-37, PPG-1 trideceth-6, dicaprylate/dicaprate, allantoin, panthenol, methylparaben, diazolidinyl urea and propylparaben. Some drying of the skin may occur, particularly if used in conjunction with another product containing benzoyl peroxide. In case skin irritation should occur, discontinue use unless otherwise instructed by a physician. It is not recommended for use by those with sensitive skin. Keep these products away from mucous membranes including eyes, lips, and mouth. "Wish I could give the Proactiv Advanced Blemish Treatment ZERO stars, because it does nothing to speed up the healing of your pimples. I used it with the other Proactiv products as recommended but it did nothing for my existing pimples." "My 14 year old daughter uses this system and within one week her face cleared up." "My experience with Advanced Blemish Treatment is more like a miracle. I keep a tube in my purse, medicine cabinet and my travel bag because I do not want to be without it." "I hear others say that it doesn't work, but it should not be used with other products. I have used it with other products and it did not work. Once I used it by itself it worked wonders."